Choose this interesting pattern to make a family friendly set of hats, crocheted in Caron Simply Soft. Child: To fit child 6-10 years old. What an impressive look to share. Select their favourite colors in Caron Simply Soft, and pick a size to begin. 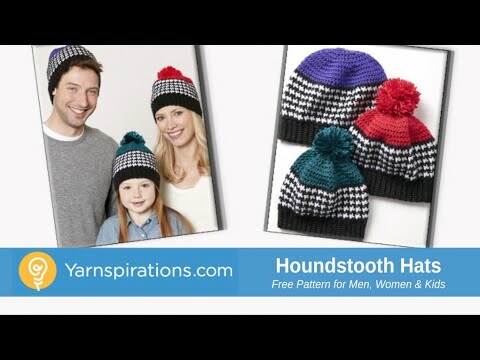 This houndstooth stitched hat looks distinctive on its own, but when worn by the whole family, it's all about warm winter memories and good times shared.